Georgia O'Keeffe was one of the most original painters America has ever produced. Her vivid visual vocabulary-sensuous flowers, bleached bones against red sky and earth-has had a profound and lasting influence on American art in this century. Renowned for her fierce independence, iron determination, and unique artistic vision, O'Keeffe had a personal mystique as intriguing and enduring as her bold, brilliant canvasses. 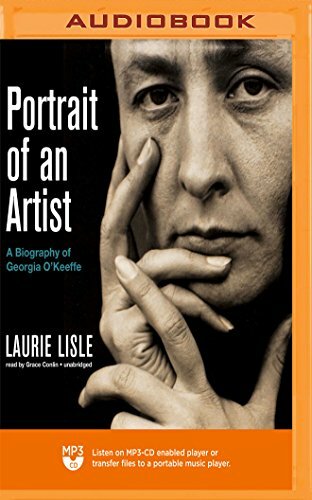 Here is a full account of her exceptional life-from her girlhood and early days as a controversial art teacher, to her discovery by the pioneering photographer of the New York avant-garde Alfred Stieglitz, to her seclusion in the New Mexico desert, where she lived until her death. Here also is the story of a great romance-between the extraordinary painter and her much older mentor, lover, and husband, Stieglitz. If you have any questions about this product by Blackstone on Brilliance Audio, contact us by completing and submitting the form below. If you are looking for a specif part number, please include it with your message.